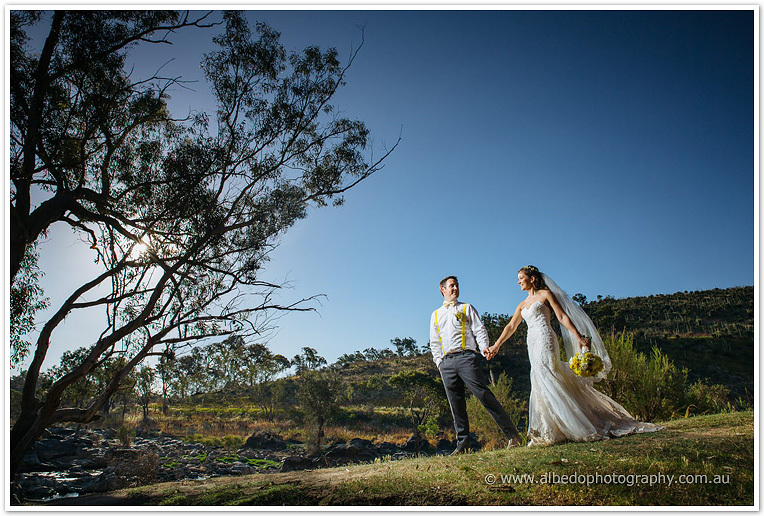 I never knew how much I loved yellow until I witnessed Amanda and Bryce’s vibrant wedding! Visually their wedding was pure happiness, from the yellow flowers, bridesmaid dresses, suspenders, heels, the yellow stone in Amanda’s wedding ring, to even a yellow cheese wheel wedding cake! 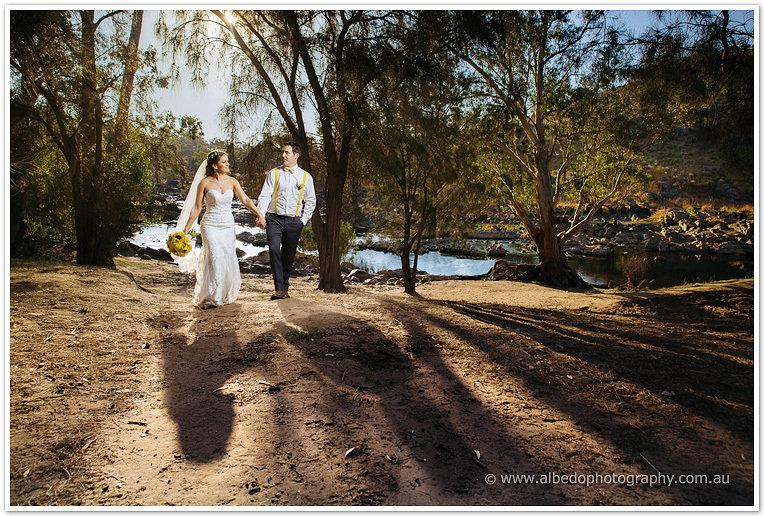 Their ceremony was held by the river at Bells Rapids in the Swan Valley. Their touching ceremony was surrounded by nature, huge trees, vibrant yellow and green grasses, and in keeping with the natural palette, a green aisle runner over the red dirt. 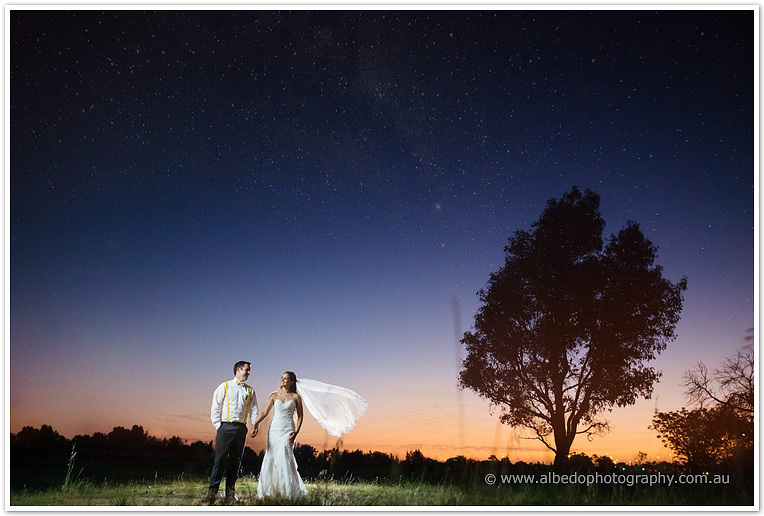 Their reception was held at Chapel Farm, in their semi outdoors rustic venue, surrounded by fairy lights, overlooking the gardnes and bush. The balmy evening made for a perfect night! The yellow worked perfectly!! Love those dresses! !